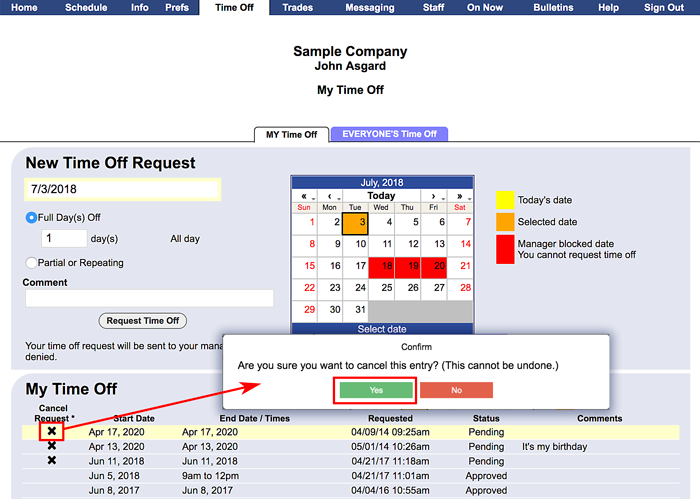 If you have made a time off request and it has not yet been approved or denied by the manager, you can cancel the request on your Time Off page. In the top menu, choose Time Off to go to the Time Off Section. At the bottom of the page, you will see a list of your Time Off Requests with a link to cancel if it has not yet been approved/denied by the manager.